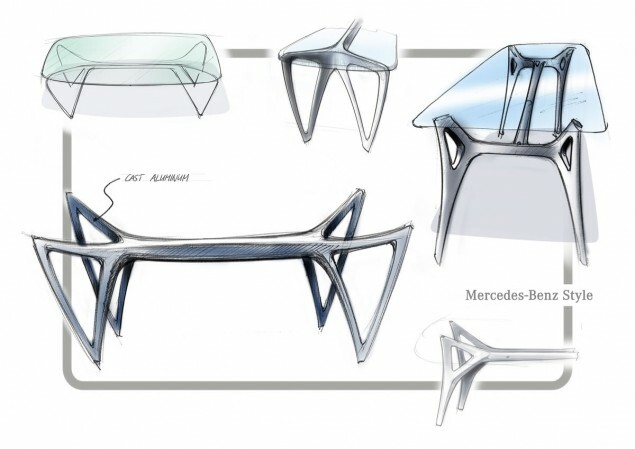 Mercedes-Benz is bringing their unmistakable styling and high standard of quality to the living room with their latest furniture collection. 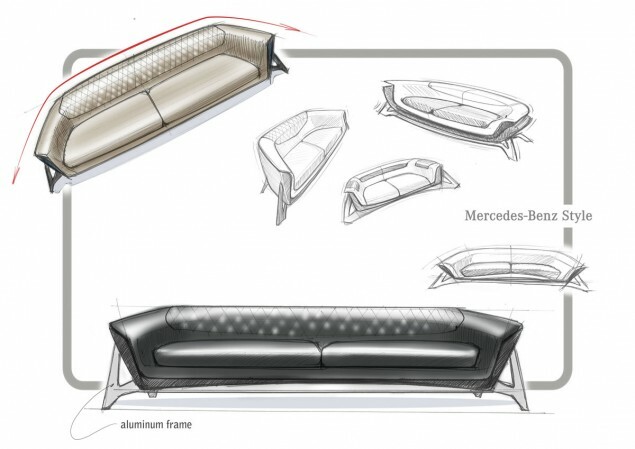 In collaboration with the Formitalia Luxury Group, one of the leading Italian manufacturers of designer furniture, Mercedes-Benz Style has created a furniture collection consisting of a sofa, chaise lounge, a dining room table, various chairs, a sideboard, a shelf unit with an integrated home theatre system, a chest of drawers and a bed. 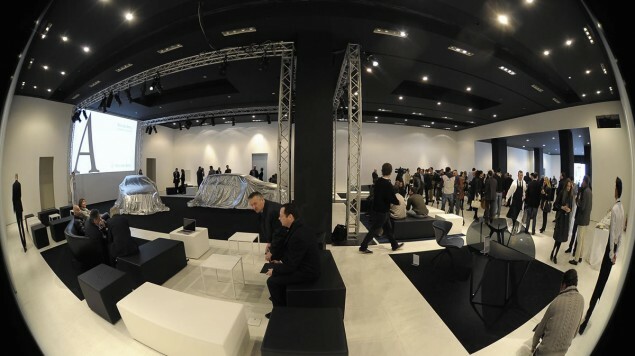 The collection was presented at the Salone Internazionale del Mobile, April 17 – 22, 2012 in Milan. The “Class” leather sofa spreads a timeless charm with its elegant and graceful lines. An offset area in the backrest with rolling lines and artistic stitching accentuates the sofa’s particular dynamism and elegance. The four legs extend from the central aluminum beam like elegantly sculptured spokes. The optical lightness of this construction culminates in a grey-shaded transparent glass plate. 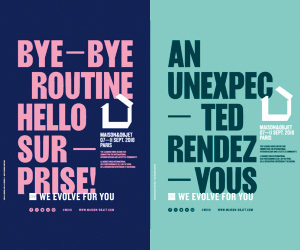 The table is available in two frame variants: one in matte graphite black and another in a light satin finish. 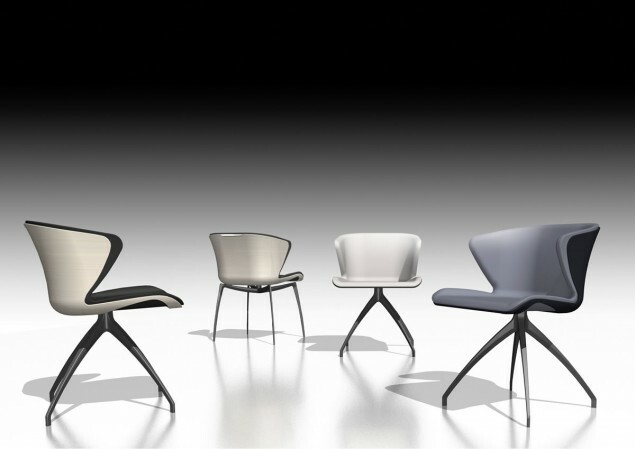 The futuristic-looking chairs set new standards in terms of shape and material. Through the exciting interplay of convex and concave lines, a dynamic shape is created which gives the chairs a particular air of lightness. A seat shell made of laminated wood ensures for perfect, long-lasting seating comfort. 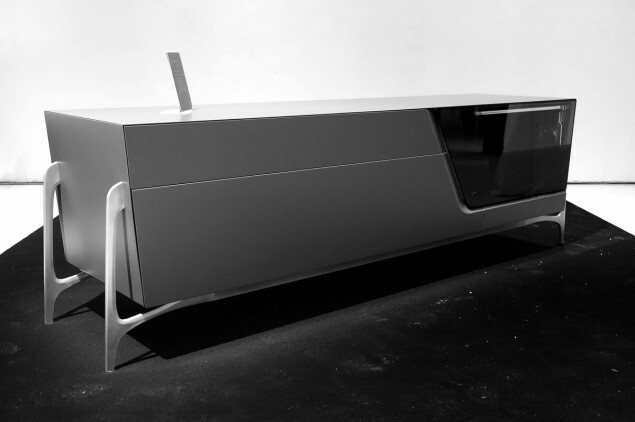 A well-proportioned futuristic-looking, sideboard on an aluminum frame. The front has a glass door with a surrounding bevel reminiscent of the air intake on a sports car. The three dimensional formed wooden frame ensures the utmost level of lounge relaxation. The Aluminum pedestal and the cover, available in either material or leather, provide an optical contrast to the wood. 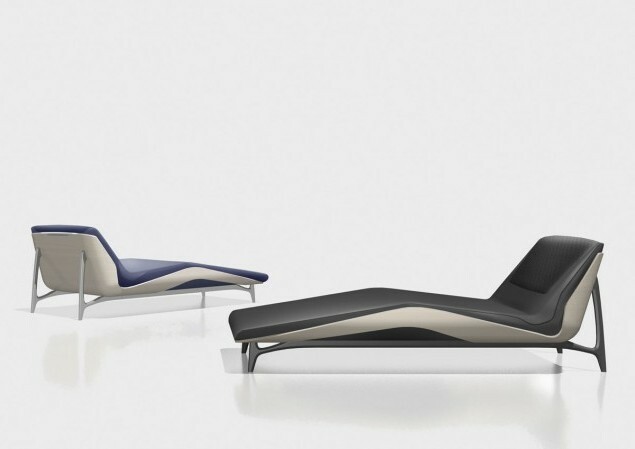 The chaise lounge combines opulence and lightness.